HALIFAX — Halifax Veterans of Foreign Wars Post 6258 commander David Walsh and fellow VFW members presented Halifax Fire Chief Jason Viveiros an award as winner of the Massachusetts round of the VFW National Public Servant of the Year award at the Halifax Board of Selectmen meeting Tuesday, Feb. 26, 2019. Dozens of Viveiros’ family and friends, including his wife and parents, packed the Selectmen’s meeting room of Town Hall to surprise him Tuesday, and he appeared shocked by both their presence and the award, which highlights the achievements of emergency medical technicians, law enforcement and firefighter personnel. He said he was “humbled” by the award and “lost for words,” which he said happens only rarely. He said that as a non-service member, he was honored by the recognition. 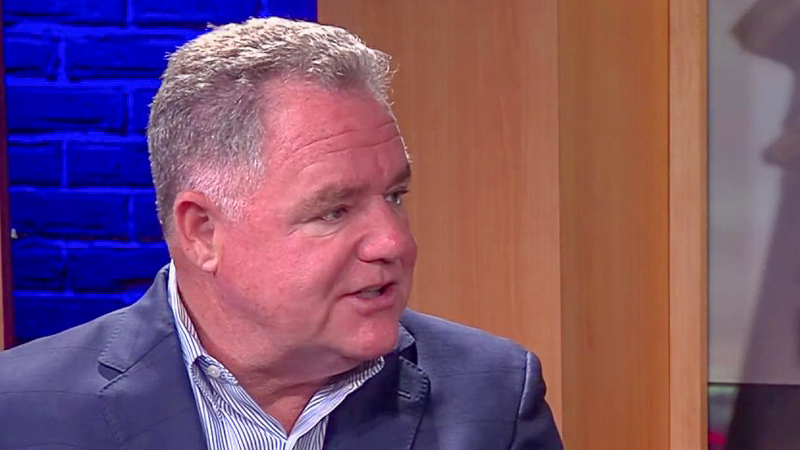 Walsh said that Viveiros will be recognized for the award at a ceremony later in the year in Boston by all the state VFW posts and then move on to compete nationally for the award. The Selectmen and other town officials passed their congratulations on to Viveiros, and the mood was celebratory all-around. According to Town Administrator Charlie Seelig, recent reporting by WBZ-TV News has implicated Peterson Fuel, the town’s contractual heating fuel supplier, in blending higher-than-recommended levels of biofuel into Massachusetts home-heating oil customer’s tanks, an accusation the Worcester-based company denies. Biofuel comes from renewable sources but blending too much in with fossil fuels can cause problems, some gradual, with many of today’s heating systems, according to the report and Seelig. The town’s Director of Building Maintenance, Scott Materna, will have the town’s heating fuel tanks tested for their levels of biofuel, said Seelig, although the testing may take some time, because Peterson Oil has a contractual right to observe the testing and take samples of their own. Seelig stated in a later phone interview that no damage to the town’s heating infrastructure from the contractor’s fuel has been discovered, so far. Seelig noted to the board, which took no action on the matter, that the Town of Swansea was using “speed tables” to slow down traffic in their community. Speed tables, according to the National Association of City Transportation Officials, are traffic “calming” devices that are longer than speed bumps and flat-topped, with a height of approximately 3 inches and a length such that a vehicle’s entire wheelbase passes over. A speed table causes traffic to slow down, but not to the extent a speed bump does. Although speed tables do slow traffic, common controversies with deploying the strategy include that they may damage vehicles and that they can slow down emergency vehicles. The Selectmen were pleased with the news that Steven Hayward, Highway Surveyor, had been awarded a $500,000 grant on Feb. 5 for the Highway Department, from the Massachusetts Department of Transportation Highway Division’s Municipal Small Bridge Program in order to replace the Pine Street Bridge. The board noted that it was not often that grants of this magnitude were awarded, and thanked Hayward for his hard work in obtaining the funds. • Halifax resident Richard Crespi, 26, was sworn in as a Permanent Intermittent Police Officer for the Halifax Police Department in front of his family. His oaths of office were administered by Town Clerk Barbara Gaynor, and his badge was pinned by his sister, Samantha Crespi. 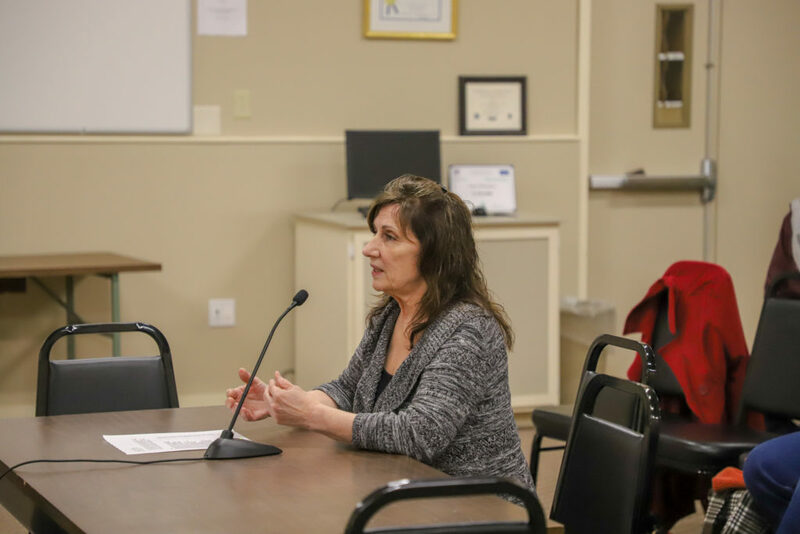 • Town Administrator Charlie Seelig said he has already begun the process of contacting all necessary contractors and vendors resulting from the Special Town Meeting warrant articles, which all were approved the night before. • Kimberly King was interviewed by the board and appointed to the Council on Aging. • Steven Littlefield, who has often served informally in the role of Assistant Veterans’ Agent, was officially appointed to that role. • The Board of Selectmen will next meet Tuesday, March 12, 2019, at 7:30 p.m. in the Selectmen’s Meeting Room of Town Hall. HALIFAX — A Special Town Meeting will be held on Monday, Feb. 25, at 7:30 p.m. in the Multi-Purpose Room of the Halifax Elementary School, 464 Plymouth Street. All registered voters from the town are encouraged to attend. Residents must have registered to vote at least ten days prior to the meeting in order to participate. There are six articles on the warrant. All are proposed by the Board of Selectmen and the Finance Committee will make their recommendations at the meeting. Article one asks the voters to appropriate an additional $1,056,056.26 for the fire suppression system project at the Halifax Elementary School, which is in addition to the $977,000 voters already approved at the May 2017 Annual Town Meeting. The town went out to bid in May 2018, for the project but no bids were received. The town went out to bid a second time, according to Town Administrator Charlie Seelig, and the low bid came in at $1,731,687. The total budget for the project is now $2,033,056.26, therefore an additional $1,056,056.26 is needed to fund the project. Article two of the STM asks the voters to transfer $7,300 from Article 32 of the Annual Town Meeting of May 14, 2018 (Repair and Replace Police Station HVAC units) to Article 30 of the ATM of May 14, 2018 (Repair and Replace Highway Barn Garage Doors) to be added to the $21,700 previously appropriated for a total of $29,000. Article three asks if the voters will transfer $7,500 from the undesignated fund balance to upgrade the town’s website. Seelig says this is necessary because the current version of the website will no longer be supported. Article four is for Monponsett Ponds. It asks voters to transfer $10,000 from the undesignated fund balance for studies of the Monponsett Ponds and projects to improve the water quality of Monponsett Pond, with the appropriation to be added to the Monponsett Pond account. Articles five and six are in regard to Payment in Lieu of Taxes (or PILOT) agreements for solar energy developments. The first, article five, asks voters to approve an agreement negotiated by the Board of Assessors on behalf of the Selectmen with the solar energy generation company Green Apple Farms, IV, LLC, for its proposed facility on Franklin Street. The second, article six, asks voters to authorize the Selectmen and, on their behalf, the Board of Assessors to negotiate a PILOT agreement with the solar energy generation company Halifax Solar, LLC, for its proposed facility on River Street. PLYMOUTH — Two of roofer Matthew Will’s five larceny-related cases– those with alleged victims in Kingston and Hanson– were continued for a month by District Court Judge Franco J. Gobourne at the request of Plymouth-based Attorney Jack Atwood. The discovery compliance and jury election hearings, where issues with evidence discovery are discussed before the court, were not held, although Gobourne said, “Let’s get this case moving,” to Atwood and the assistant district attorney. Will, 37, of Halifax, owner of Five Star Discount Roofing, stands accused of victimizing 23 area households in at least three communities across Plymouth County by beginning contracting work and not completing it, or not doing work at all, after accepting deposits. They claim they have lost a combined $153,197.34, with individual losses ranging from $695 to $15,569. Most of these victims are over age 55, and many are elderly, according to police reports. The alleged victim who lost the most money is 78 years old. Will continues to hold construction supervisor licenses, according to state records, and continues to work according to a source who hopes that outstanding work will be completed by Will. 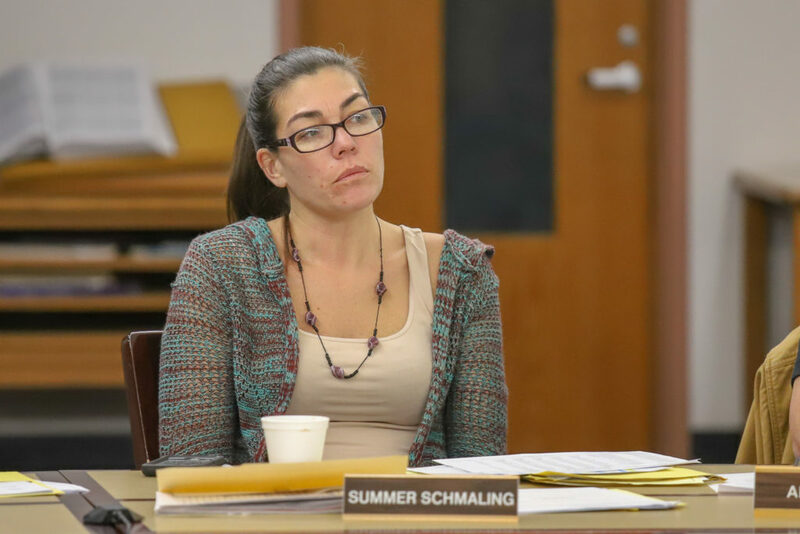 Both matters were continued to March 12, 2019, at 9 a.m. for discovery compliance and jury election hearings. The case has been moving its way through the district court system since early August 2018. HALIFAX —While schools and afterschool activities were canceled due to inclement weather, the Halifax Board of Selectmen met Tuesday, Feb. 12, during a snowstorm to discuss their lengthy agenda. 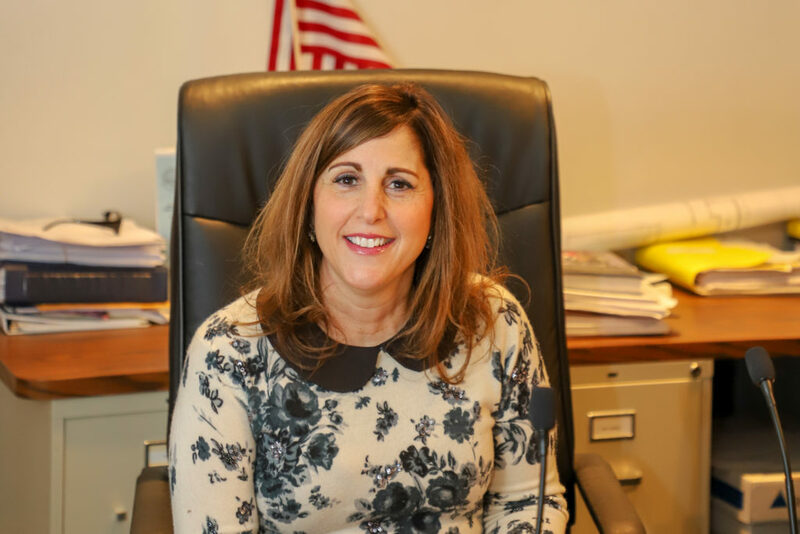 Selectman Chairman Kim Roy spoke early in the meeting, sharing her thoughts on recent social media posts that have attacked Halifax Town Hall employees as well as board and committee members, that, she pointed out, are made up of volunteers. Doing her best impression of President Richard Nixon, she joked, “I am not a crook!” All joking aside, Roy appeared hurt by the recent vitriol on Halifax community Facebook groups regarding attacks on the integrity of Halifax officials and workers. Facebook posts for the last several weeks have blamed the board for discussions on ways to reduce litter caused from nips, which are small, inexpensive bottles of liquor generally under 50 milliliters that police say are often associated with drinking and driving. The concepts discussed have included the idea of banning them in conjunction with other towns (the City of Chelsea recently passed a ban) or putting deposits on them to encourage recycling. Roy pointed out that this began with the town’s Beautification Committee, and the board was simply following up on their suggestions by discussing the issue. The board received correspondence from a trade group representing alcohol retailers and local retailers concerned about these proposed measures, any of which would need to go to Town Meeting for the voter’s approval, according to Town Administrator Charlie Seelig. The online responses have been emotional on both sides of the issue, with users offering up posts that are demonstratively not truthful. “Think before you type,” said Roy. Roy mentioned that the Beautification Committee also proposed a now-controversial Town Meeting article would ban single-use plastic bags by Halifax retailers, not the Selectmen. It has caused quite a stir on social media as well. Article one of the Feb. 25 Special Town Meeting warrant, according to Seelig, asks voters to appropriate $1,056,056.26 for the fire suppression system project at the Halifax Elementary School, which is in addition to the $977,000 voters already approved at the May 2017 Annual Town Meeting. The town went out to bid in May 2018, for the project but no bids were received. The town went out to bid a second time, he said, and the low bid came in at $1,731,687. The total budget for the project is now $2,033,056.26, therefore an additional $1,056,056.26 is needed to fund the project. The current system is in disrepair and needs to be replaced, he said, and it will not be getting cheaper if the town waits to replace it. The board was frustrated but resigned to the additional spending necessary for the safety of the schoolchildren and the integrity of the building. A concerned parent filed a complaint with the board regarding cars passing stopped school buses with red lights flashing, which, as drivers should realize, is illegal, said Seelig. According to Roy, Chief of Police Joao Chaves, a “hands-on” chief, decided to investigate on his own, unbeknownst to area bus drivers. Chaves followed a Halifax school bus in his unmarked cruiser recently, and the attentive bus driver noticed that their bus was being followed by a suspicious vehicle – Chaves. The driver radioed their dispatcher, who contacted police. 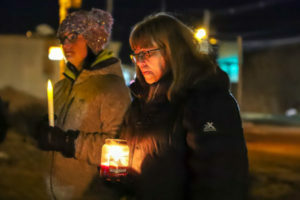 When Chaves realized what was going on and that he had concerned the driver, Roy said he turned on his blue lights and pulled the bus over, to let the driver know that the suspicious vehicle was actually a police cruiser, and that he was in fact the Halifax police chief. The driver was understandably nervous about the situation, said Roy, but the board commended both Chaves and the driver for their conscientious work. Fortunately, no cars passed the bus in question while it was stopped loading and unloading children. The board did discuss how camera technology might be used to capture license plate numbers of such dangerous driving behavior and scofflaws all over Halifax should know that they are being watched, even by the town’s top law enforcement officer. HALIFAX — Assessors in Halifax met Wednesday, Feb. 6, and briefly discussed personal property tax, in the amount of $12,511.09 that includes delinquent interest, assessors say is owed by Jordan Health and Wellness Center, RKP Capital, LLC, of which Kingston Town Administrator and former State Representative Thomas Calter, of Kingston, is the principal. The delinquent tax stems from equipment in a gym, the Jordan Fitness Center, that Calter, with his wife, operated at 430 Plymouth Street between 2010 and 2012. Assessors met and decided not to abate any of the amount despite the fact that Calter said, in both a phone call with the Express and in a letter addressed to the Board of Assessors that he had never received the bills and did not own the gym for part of the assessed period. “I don’t know of a single taxpayer who would pay taxes on property they didn’t own,” said Calter in the phone conversation. Even though he did not attend the meeting the issue was on the agenda at his request. “Even if we wanted to do something, we couldn’t and I wouldn’t want to,” said assessor Tom Millias, noting that the board treats everyone the same way and that the abatement appeals period had passed. The dispute with the Halifax board has been ongoing since May 2016 when, Calter says, he was hand-delivered a letter from Tax Collector Pamela Adduci with personal property tax bills. 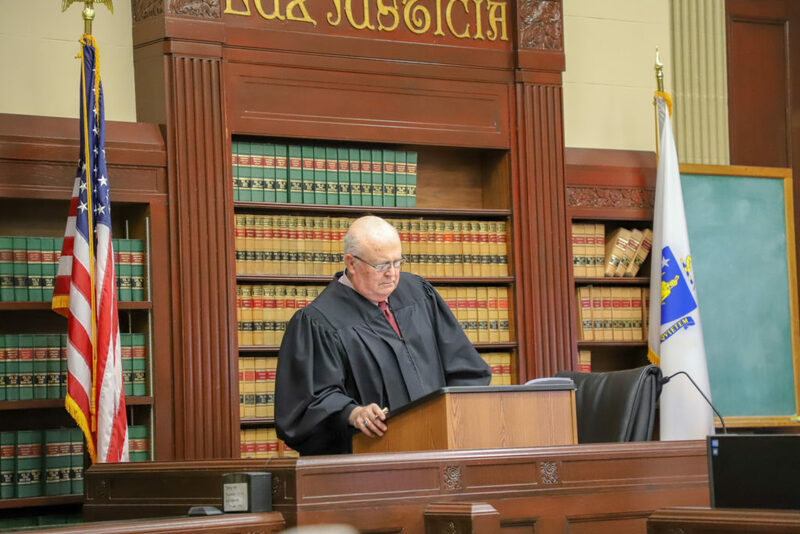 He said that he is happy to pay the fair amount of what he owes and proposed an amount much lower – $1,151.20– than what the assessors say he owes, and if they can’t come to an agreement, he will appeal to the Appellate Tax Board. The meeting, which took less than 15 minutes, was video recorded by Peter Boncek of Kingston, who challenged Calter in the race for State Representative in 2016. HALIFAX — At the Halifax School Committee meeting Feb. 4, 2019, school committee members discussed a letter penned by Steve Ruisi, president of the Halifax Teachers Association (HTA), with five recommendations for the budget at the School Committee’s annual budget hearing for fiscal year 2020. Two people from the public at large attended the hearing: one elementary school teacher and one community member were present. Ruisi, in his letter, thanked the chairman of the committee, Summer Schmaling, for the first opportunity “in some time” to have input on the budget. The teachers say that they are mainly concerned about class size, especially in grades one and two where enrollment is high, they say, at 23-25 students, which they believe is significantly higher than the ideal “benchmark” of 20 students per class. The committee framed this as an issue where an extra teacher would need to be hired, and an extra classroom space found, something the committee said is cost prohibitive. And Principal Kayne Beaudry and Assistant Principal Brian Desantes indicated that they were less concerned about class size than the association. Beaudry noted that when he was a classroom teacher class size numbers were higher, although he acknowledged the many challenges of teaching to larger classes. Silver Lake Regional School District Superintendent Joy Blackwood said that Halifax’s class sizes were comparable to surrounding communities, including district member Kingston Elementary School, although they are much higher than at the Dennett Elementary School in Plympton, where class sizes are unusually small due to the comparatively small size of the town. The HTA would also like HES to hire four recess and cafeteria aides who they say would take the burden off teachers and classroom aides, in order to provide better management of the recess playground and the cafeteria. They say this would reduce student behavior issues in both venues. School officials say that it would be hard to find people to work from 10 a.m. to 1 p.m. Schmaling suggested stay-at-home moms may be able to volunteer or work those shifts. The association would also like to see a new special education position added. They say that would allow a special education teacher for each grade, 2-6. Under their proposal, Kindergarten and 1st grade would share one special education teacher, as is currently the case. The HTA also noted that there is currently no math specialist at the school, and the teacher in the audience suggested this would be especially useful as students who struggle with math in lower grades often struggle throughout elementary school, she said. There is a literacy specialist, according to the association, just no math specialist. But officials and committee members are reticent to create positions where someone once provided those services as part of their job description, noting that someone did have math “overlap” as part of their job at one time. “None of our elementary schools have a remedial math specialist,” said Blackwood, although four part-time federally-funded educators, known as Title-I tutors, are available to students, two of whom address math deficiencies, she pointed out. Finally, the association recommended the purchase of additional iPads and Chromebooks, which are heavily used in educating today’s students, say teachers. Some grades only have six per classroom which are shared among students, and they say that adding two more per room would help facilitate small group work. Blackwood noted that some of the technology is being replaced as part of scheduled upgrades, and that she believes the school is “set” and that this is “not a priority right now,” although she appreciates the input from the association. She said that in grades three through six, there is a Chromebook for each student. “Certainly, all of these recommendations together are a lot to add to the budget, but any consideration would be an improvement to the educational experience at HES,” Ruisi, of the HTA, wrote. The budget wrangling, far from over, continues. PLYMPTON — The Board of selectmen met Monday, Jan. 28, and furthered discussions with a grant writer, did not exercise their right of first refusal on a portion of an Upland Road Chapter 61A property, discussed the awarding of the fire station exhaust removal system project and met with Karen Foye, moderator of the Plympton Helping Plympton Facebook group, who donated photography from the group after an online contest to decorate the Town House. Grant writer coming to town? Terry Walker, of Tolland, in the western region of the state, was before the board to further formal discussions of bringing her to Plympton as a grant writer. She would work remotely, if hired, as she says it is more than a two-hour drive for her to come to Plympton. Walker is a prolific grant writer, according to a memo she wrote to the board, with many certifications and qualifications, including a certification from Berkshire Community College with a 100 percent final grade and a housing certification from the Berkshire Planning Commission. Walker has received 30 awards on behalf of several towns concentrated in western Massachusetts, ranging from $2,500 to $1,000,000. In total, the 30 awards she presented to the board add up to $5,347,258. The board is excited about the possibility of the opportunity to work with Walker and bring more grants to Plympton. An approximately 1.561-acre parcel of land of a Chapter 61A property located on Upland Road, (a portion of Map 12, Block 3, Lot 1), owned by the Margaret Keirstead Revocable Trust, has been passed over by the town. The town had a “right of first refusal” on the property because of its Chapter 61A agricultural use tax status. Because it is being sold, and taken out of agricultural use, the town had a right to acquire it before the sale to a private buyer went forward. Although the Kiersteads had been seeking to move the sale along more quickly than the town’s process allowed, the board, at a very brief public hearing, voted against attempting to acquire the parcel. Town Administrator Elizabeth Dennehy will provide a letter with the determination to assist in the closing. The contract for 18-PFD-2, an engine exhaust removal system for the fire station, which is necessary for the station to be occupied as Massachusetts becomes an “OSHA-compliant” state where cities and towns must meet federal safety requirements they have previously been exempt from– has been awarded to the second-lowest bidder, Air Vacuum Corporation of New Hampshire, for $24,662, just under the $25,000 that Dennehy expected the contract to cost. The Plympton Fire Station, with six firefighting and emergency vehicles parked inside, does not have room for a system where hoses can connect directly to the exhaust pipes of vehicles. The lowest bidder could not supply a “hose free” system that would work in the tight confines of the station, therefore the second-lowest bidder was awarded the contract. Fire Chief Stephen Silva said that this is the first step in firefighters being able to fully occupy the building and to removing the trailer outside the station where first responders spend the night. Karen Foye, in concert with Christine Kelly, the town’s assistant treasurer/collector, arranged for a photography contest on the Facebook group that Foye runs, Plympton Helping Plympton, and had some of the winning photos enlarged and printed to be displayed at the Town House. The photos, which have been hung around the building, depict scenes from all over town, from sunsets to flowers. “We’ve been trying to get some things done cheaply or for free around here,” said Selectman Chairman John Traynor, who said he was pleased with the photographs. Selectman Christine Joy asked if the photographers would be interested in having their names on the photographs, and Foye said she’d look into it. • Patrick Ganley, with the support of his family, proposed his Eagle Scout project to the board. He is planning to spend one or two weekends this Spring fixing up the flag pole in front of Town House. The selectmen enthusiastically gave their support to the project. • Fire Chief Stephen Silva attended the meeting to thank the Upland Club on behalf of the town and presented Mark King of the Upland Sportsman Club a plaque for the Club’s donation of an unused house that area local and federal public safety workers used to practice life-saving techniques, including live-fire burns and drills. • The board delegated further authority to Town Administrator Elizabeth Dennehy to sign documents on their behalf in their absence, should an emergency need arise. • The board adopted its official version of their 2019 goals for the coming year; they discussed them at a previous working meeting reported on by the Express.